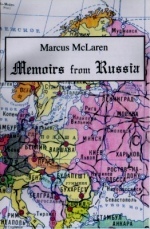 Memoirs from Russia is a personal diary kept by a young New Zealand pianist throughout his 7-week tour across Latvia, Russia and the Ukraine. It documents his triumphant concerto performances with the Voronezh and Kharkov Philharmonic Orchestras, takes an intriguing look behind the scenes at an Eastern European international piano competition, but above all offers the reader fascinating insight into the life and culture of post-Soviet Russia seen through the eyes of an open-minded musician. Published in Vienna, 110pp, illustrated in colour. Tales of Austria is a personal collection of anecdotes‚ descriptions and information by a young New Zealand pianist who lived in Vienna for seven years. It describes Vienna as a city of music and dance and outlines living conditions in the 1990s. 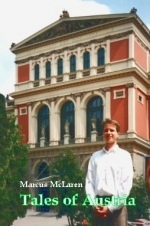 It documents the author’s concerto performances with the Vienna Chamber Orchestra‚ his solo recitals on historic instruments and his time as resident pianist at a spa resort. Also included are recommendations for further reading and listening. An account written for lovers of Europe‚ classical music and light reading. Published in Ulm, 92 pp, illustrated in colour.